For a geologist, paradise is place where one can look, touch, and break rocks! For a petroleum geologist, paradise is a place where they can visit outcrops which could be used as analogs to subsurface hydrocarbon reservoirs. This paradise was found during the AAPG Rice Student Chapter field trip, which led 15 Rice students to northern Spain from April 21st to April 29th2017. After coming up with the location for the field trip, much time was needed to come up with a plan. There is a long to-do list before these trips become reality. Being the manager for this trip, I learned a lot! This year we were fortunate to be funded by Shell Oil Company, and we cannot thank them enough for making this trip possible. The well-exposed outcrops of the Pyrenean foreland basins (PFB) in northern Spain offer a unique opportunity to observe a range of sand-rich, deep water (DW) depositional systems. During the early Lutetian time (Middle Eocene), the PFB area consists of a series of linked basins connected to the Atlantic Ocean to the west. These basins formed from the interaction of the African and European plates with the Iberian micro-plate during the Cenozoic, resulting in south-directed thrusting. 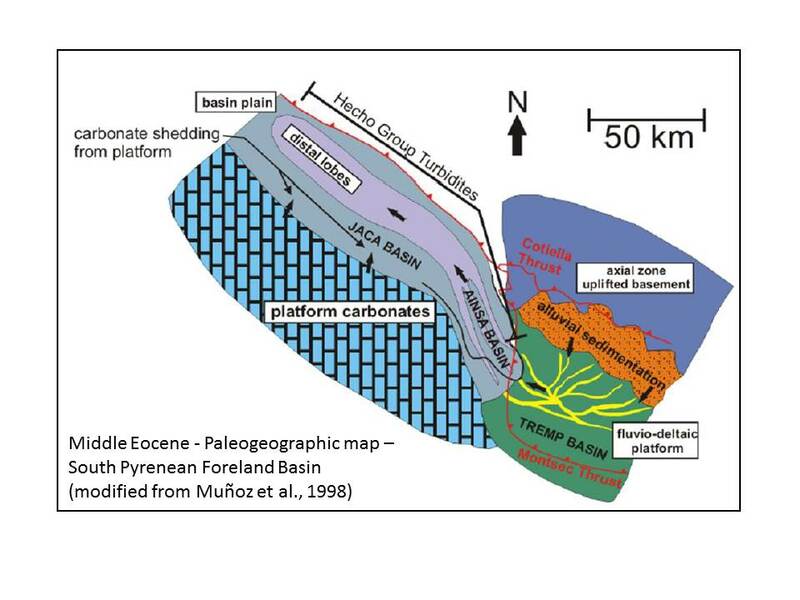 The middle Eocene deposition in the PFB recorded the interaction of tectonics and sedimentation from shelf (Tremp Basin) to slope (Ainsa Basin) and basin (Jaca Basin). 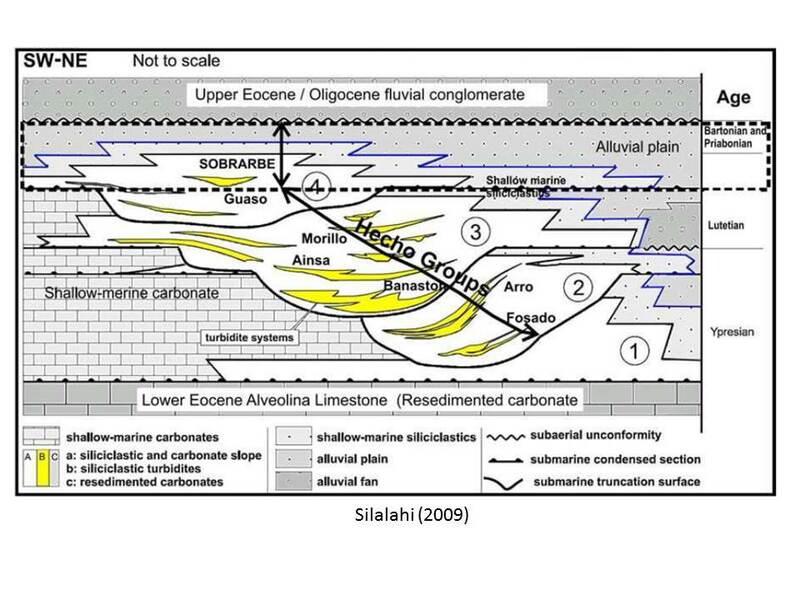 During the Middle Eocene, deposition occurred in piggy-back (wedge top) basins that shifted southward as the thrust faults progressed to the south. Rapid changes in local gradient along with high sedimentation and subsidence rates resulted in the vertical stacking of a progression of environments of deposition (EoD’s) with easy access and excellent exposures. These outcrops are analogous to hydrocarbon reservoirs explored and exploited in the Gulf of Mexico, West Africa, northern and eastern South America, The Black Sea and East Africa. Ms. Keriann Pederson, with ExxonMobil, was a great guest instructor for the trip. 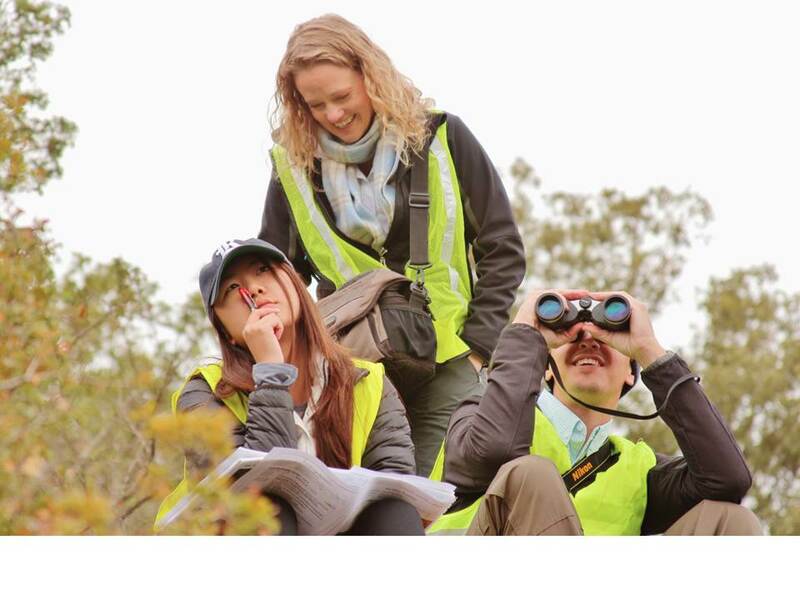 She has been involved with Ainsa deepwater field schools for more than five years, and has conducted field work in the Deepwater Ainsa Basin outcrops we visited. 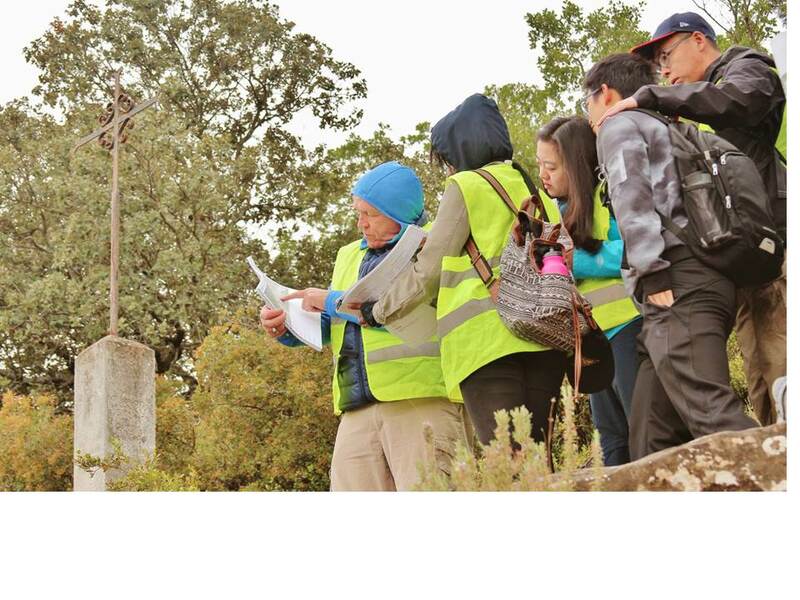 She was on top of all the safety logistics and also lead discussions on several Ainsa Basin outcrops. 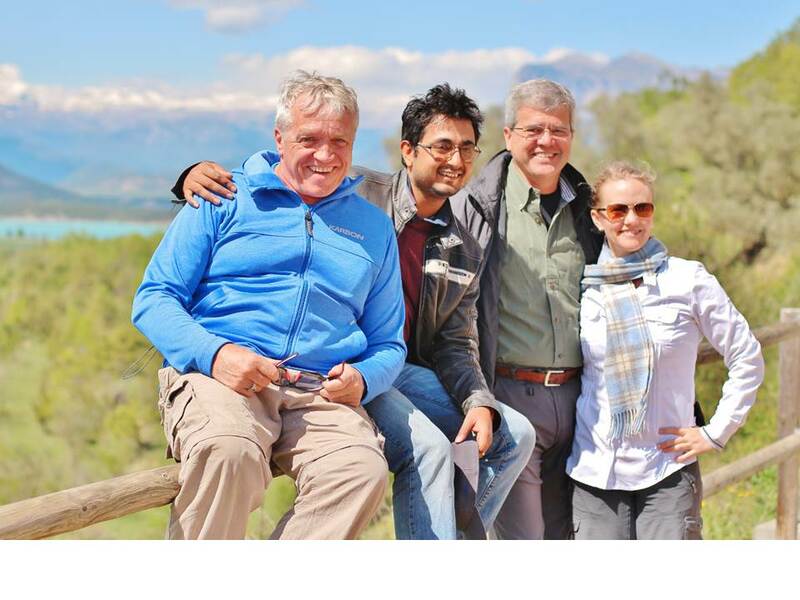 Professor Andre Droxler is the Guru of Rice Carbonate Sedimentology, and having him on any trip is always helpful. He has led several field trips and knows exactly how a field trip should proceed. Working with him for the past five years is what helped me become a manager of this field trip. A field course is incomplete without a field guide. We had an exceptional field guide (guess who prepared it- Dr. Vitor Abreu!!) who knew the location of all the outcrops, the parking locations for multiple cars, and safety information about the outcrop (what are the hazards at the outcrops and the necessary safety precautions). He also added relevant documentation for each outcrop in the guidebook. To me, the ‘Photopans’ were the best part of the guidebook. A Photopan is the large-scale photograph that captures relevant context to a complete outcrop. We had four to five field stops each day, almost all of which included Photopans. 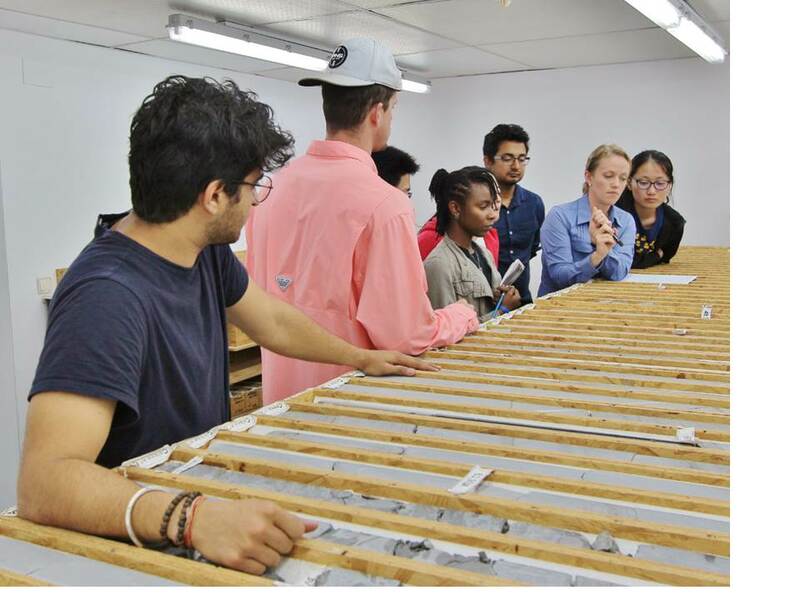 The Photopans were used as a major tool during the field trip to train students to identify the deepwater depositional bodies which develop certain geometries, along with a certain aspect ratio, which could only be observed if we are standing away from the outcrop. Photopans are a good visual method to aid understanding of the geometries, continuity of the beds, and the facies relationships. 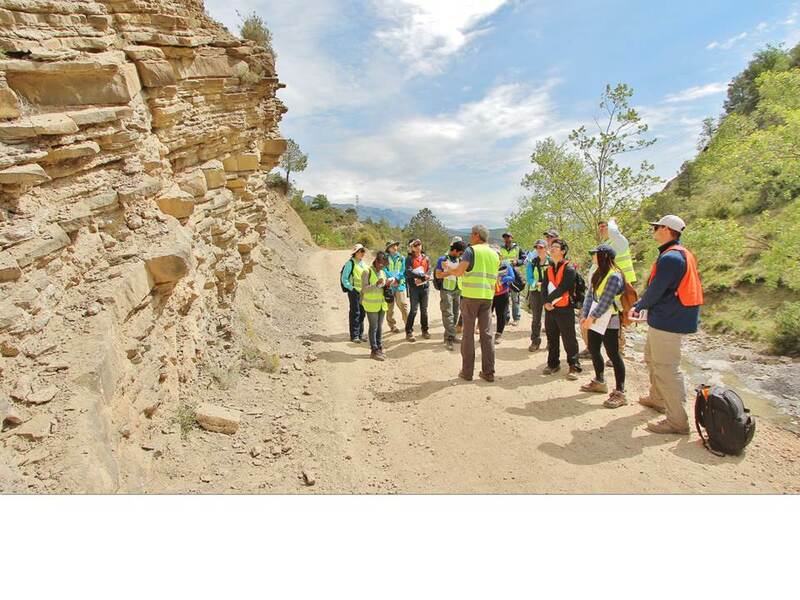 Additionally, after the Photopan exercises, we visited and touched all the outcrops, measuring a few stratigraphic sections in teams of two to three students each. Combining the observations from both imagery and outcrop perspectives is extremely important to understand the environment of deposition. 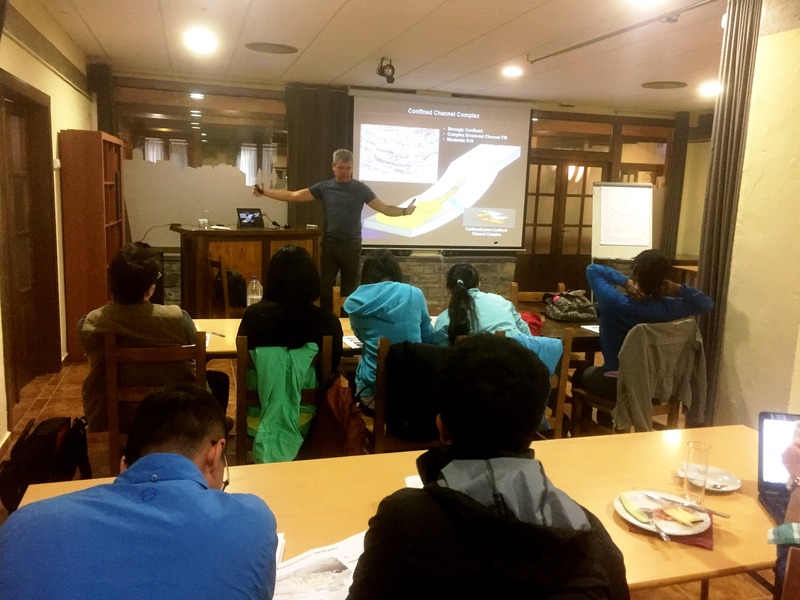 After each exciting day, we had lectures about the different elements of deepwater basins. Lectures are important to put everything in to perspective. 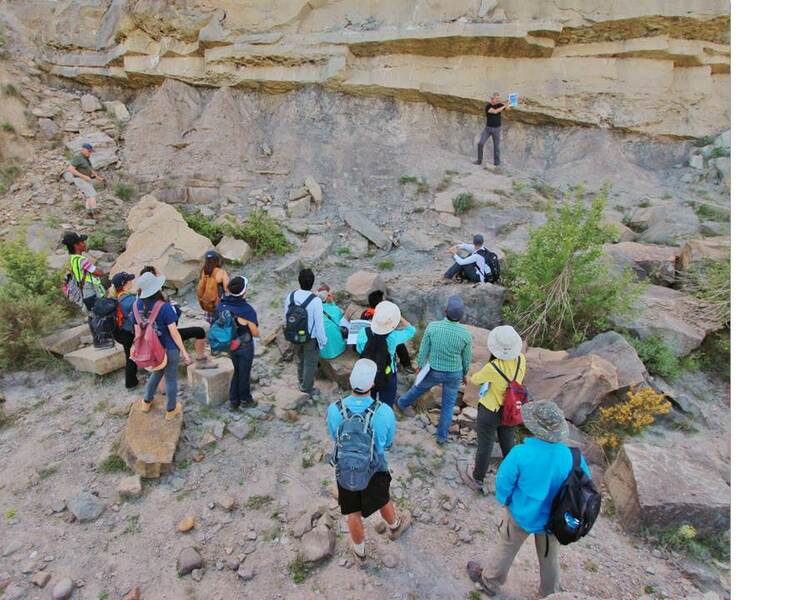 Every single day, every single outcrop, we had very lively discussions with the experts regarding what to observe, followed by their interpretations. 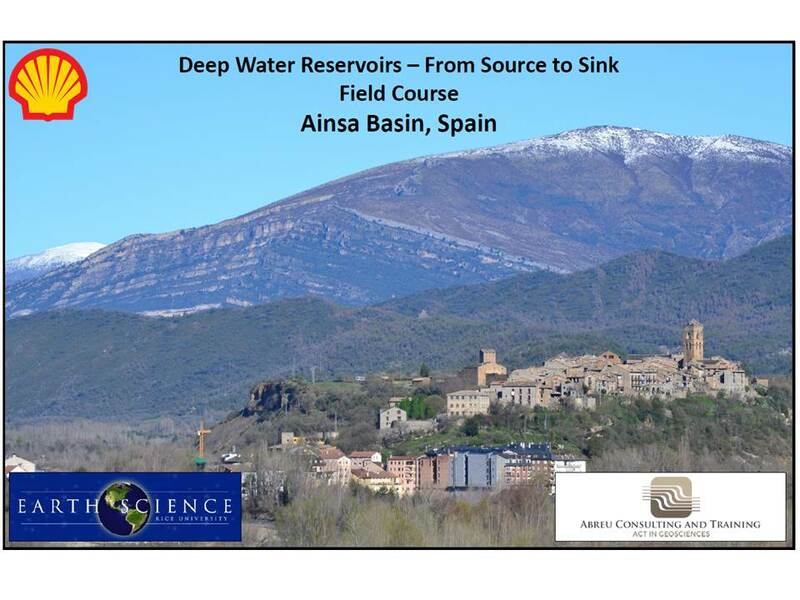 The First four days learning the architecture of the Ainsa Basin was actually indirect training to measure a real core! Finally, the most exciting part arrived! Core!! We split up into teams of two and described a core (at Hotel Apolo- in their amazing core room). This was a fun exercise for all the students, especially for those who had no previous exposure to describing a core. I am glad to share my experience with you all and I hope you enjoyed the short blog on our trip.